Move-in Ready. 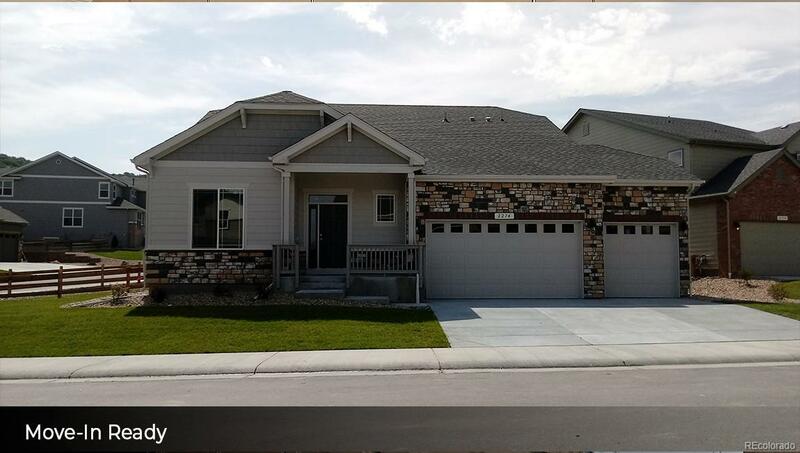 Gorgeous craftsman ranch design with exterior stone detail, 3.5 car garage, spacious owner's suite on main level with 5-piece bath, study w/ french doors, abundant windows adding natural light, partial finished basement with recreation area and bedroom and bath. The gourmet kitchen has beautiful quartz countertops and is open to the great room that is perfect for gatherings. You'll find hardwood floors, central air conditioning, wonderful outdoor living on your covered patio located on an oversized corner cul-de-sac lot, full yard landscaping with irrigation and fencing included! Close to Phillip Miller park, 24 miles of hiking trails and more! New home with builder's 2-10 limited warranty! Don't miss out on this amazing community! Offered by D.R. Horton Realty, Llc. Association Name Primary Management Inc.